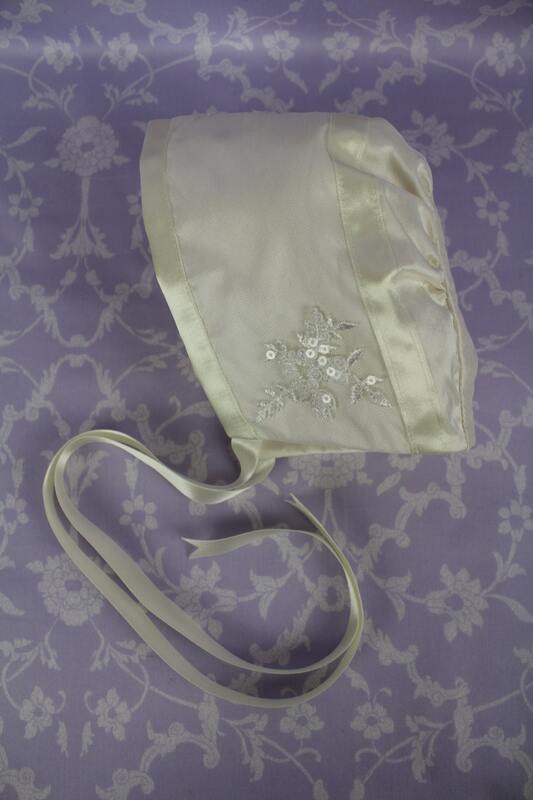 The Cameo bonnet matches the Cameo gown and the Imogen Gown. 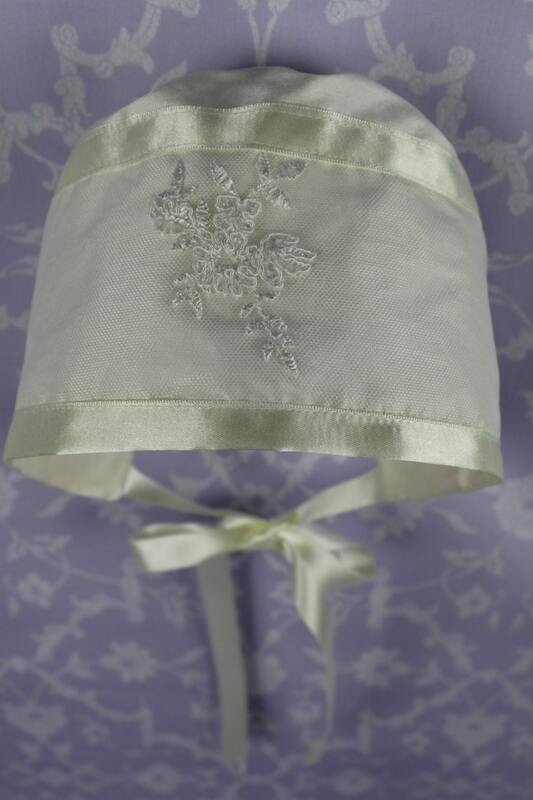 This bonnet is trimmed with satin ribbons and tulle with the petite flower clusters from the Cameo lace. 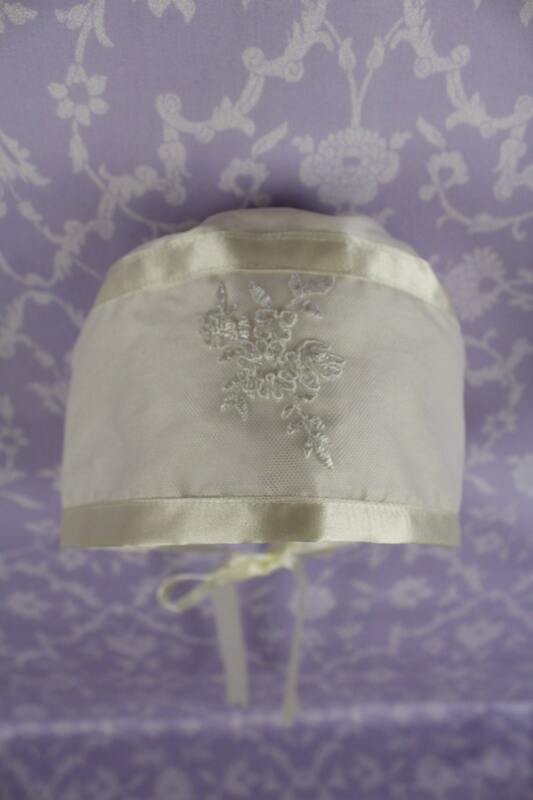 The flower clusters have a few sequins , allowing the bonnet to twinkle slightly. The satin ribbons give a sheen to the bonnet. The Cameo bonnet matches the Cameo booties.